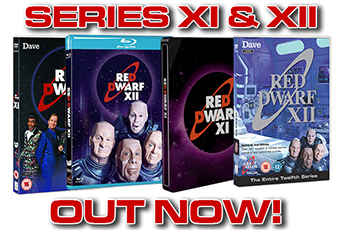 Test your knowledge on every year of Red Dwarf's first quarter-century! 1. 1988: Red Dwarf first aired on BBC2 on 15th February 1988. But at what time did the episode start? 2. 1989: In which British city were the exterior scenes for Backwards filmed? 3. 1990: The second Red Dwarf novel, Better Than Life, was the first to feature material that would later be adapted into the TV series, rather than vice versWhich subsequent episode drew heavily from the book's second part, titled She Rides? 4. 1991: Which Series IV guest star was Robert Llewellyn's then-girlfriend (now wife)? 5. 1992: Which famous sitcom would later be created by Linwood Boomer, the producer of this year's ill-fated Red Dwarf USA pilot? 6. 1993: The script for which episode was published in the book Primordial Soup in Spring of this year, around six months before its actual broadcast? 7. 1994: According to the Smeg Ups video, released this year, what was "The Most Asked Question About Red Dwarf"? "What are the lyrics to the theme tune?" "Why has Lister had his appendix out twice?" "In Marooned, did Lister really eat dog food, or was it something else?" "In the Smeg Ups tape, why were there eleven Most Asked Questions About Red Dwarf, and not ten as promised?" 8. 1995: In the novel Last Human, choosing which element of the Jhjghjiuyhu legal system on Aaranguu 12 results in the tripling of Lister's prison sentence? 9. 1996: Which of the following is not the name of an agonoid in the novel Backwards? 10. 1997: Which two episodes of Red Dwarf VII were broadcast, unusually, without a full opening titles sequence? 11. 1998: Which of the following celebrities was not involved in the tenth-anniversary-celebrating Red Dwarf Night on BBC2? 12. 1999: What was the reason given for why Petersen didn't appear onscreen in Series VIII alongside Selby and Chen? 13. 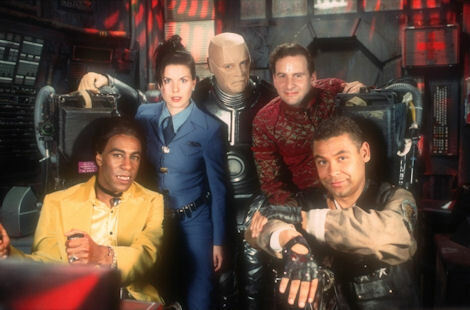 2000: reddwarf.co.uk was launched this year. But in which month did the new site go live? 14. 2001: What was the name of the butler played by Chris Barrie in the film Lara Croft: Tomb Raider? 15. 2002: What was the title of the short making-of documentary featured on the original Series I DVD released in November of this year? 16. 2003: Which Craig Charles-hosted game show moved from BBC2 to Channel Five for its seventh and final series late in this year? 17. 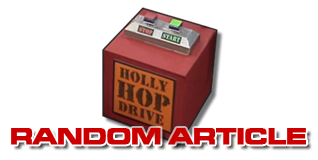 2004: Which famous toy company released die-cast models of Red Dwarf and Starbug this year? 18. 2005: What was the name of the short-lived mobile video format upon which three episodes of Red Dwarf were an experimental release? 19. 2006: Which Red Dwarf character served as the host of the Beat the Geek DVD quiz game? 20. 2007: Footage of Rob and Doug on which TV show was included on The Bodysnatcher Collection under the title "The Most Embarrassing Interview in the Universe Ever"? 21. 2008: Which popular science book was parodied on the cover of the 2009 Red Dwarf calendar (released in 2008)? 22. 2009: Which magazine produced a special edition cover that was featured in, and also released as a hugely limited-edition promotional item for, Back to Earth? 23. 2010: Which university gave Chris Barrie an honorary degree this year, in recognition of his work in bringing the world of engineering to the public? 24. 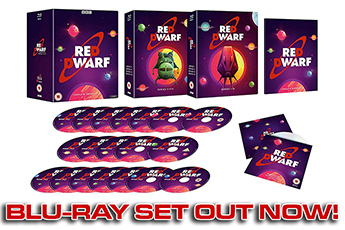 2011: Upon which stage at Shepperton Studios did filming for Red Dwarf X get underway in December of this year? 25. 2012: Which of the following Series X guest cast members was not playing a member of the Rimmer family?